The Bingham String Quartet concert for Music Centeral at the Tin Hut follows two wonderfully successful visits that have been made to Huntly by violinist Steve Bingham. The programme will end with Beethoven's String Quartet No. 10, Op. 74 (The Harp) and is to include the first performance in Huntly of Ronald Center's String Quartet No. 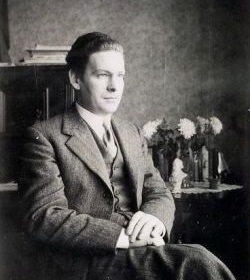 1, thus completing the cycle in the town where he lived, composed and taught for thirty years, until his death in 1973. There will also be pieces by local students Iona Fyfe (now studying Traditional Music at the Conservatoire in Glasgow) and Annie Lennox (now studying Earth Science at the University of Glasgow), and by students Lewis Holliday (from near Laurencekirk and now studying English Literature at the University of Glasgow), James East (a mature student of David Ward's, now based in Washington DC) and Josefine Mindus (studying Singing and Composition in Stockholm, Sweden). Quartet No. 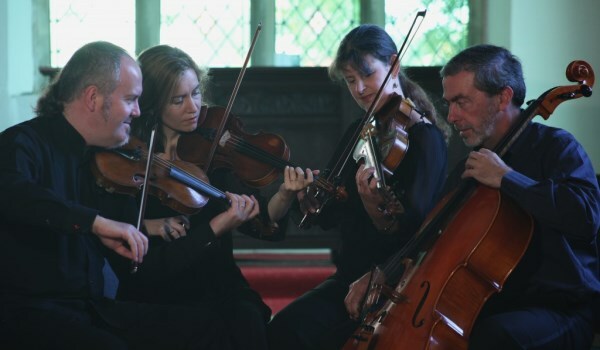 4 by David Ward was commissioned by subscription (with additional support from the Scottish Arts Council) for the Bingham String Quartet in 1994 and was first performed by them in London in 1995. "I formed the Quartet back in 1985 while I was still a student at the Royal Academy of Music. It's been at the forefront of my musical life now for over 20 years. We've recorded many CDs (some of which are available in my online shop), performed for radio and television, and toured worldwide. Our repertoire covers everything from Beethoven to Bartók, and from Mozart to Maconchy. We've given first performances of works by many young composers and have commissioned a variety of pieces over the years. The Quartet also runs several popular chamber music courses and gives school workshops." "I am still stunned by how brilliant Steve Bingham is. I felt very honoured to be in that audience." A member of the audience after hearing Steve play for us in the Tin Hut in 2014. "...but Huntly is obviously the place to be!" Judith Weir, Master of the Queen's Music, on reading about a Music Centeral concert.